The Road Theatre on Magnolia is proud to present the West Coast premiere of Anna Ziegler’s exciting A Delicate Ship. 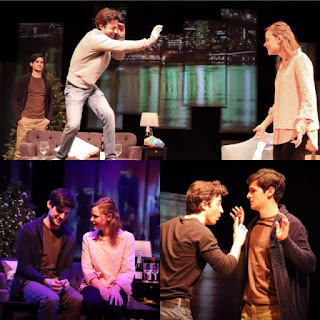 The play opened officially Friday January 19 and runs through March 11. Over the course of the run we will spotlight the director and members of the cast. 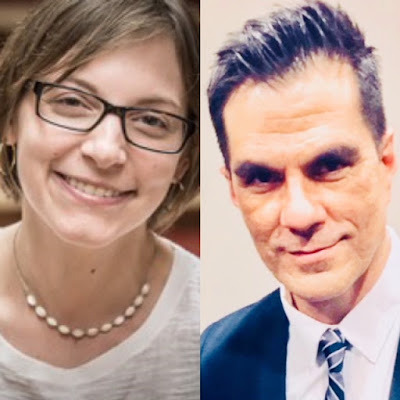 This week the light shines doubly on director Andre Barron and playwright Anna Ziegler, as we present an interview that Barron recently conducted with Miss Ziegler. Director Barron won BWW LA 2016 ‘Best Direction” for Edward Albee’s “The Play About The Baby” at The Road Theatre Company. The Road Theatre Company is excited to present the West Coast Premiere of “A Delicate Ship.” What was your initial inspiration for writing the play? I remember wanting to write a play that took place in a single evening. I'd never done that before. And I wanted the play to build to one major event. You really play with time and memory in this story. You appear to liquify the past, present and future. What are your thoughts on that concept and what are the challenges in it? These were definitely the challenges I set for myself. Your characters are very complex. There is an existential pain and questioning in the hearts and minds of these early 30 year olds. What are they searching for? As far as the setting goes, and the characters, I think I was in some ways inspired by the building where my husband grew up. I didn't grow up in an apartment building, and it always sounded so wonderful to me, the experience of having some of your best friends so close at hand, these friends you practically live with who become like siblings. It felt very romantic to me. So I wanted to peek behind the curtain at one of those friendships. Sarah is such an interesting character. There appears to be such an interesting arc in her character. She is faced with many difficult decisions moment by moment throughout the story. With every win she appears to lose something along the way. I would agree with your assessment. The character of Sam is such an anchor throughout the story. While Nate is the storm at the center of the play. Two completely different men. You are having such a renaissance now in your career. Your play ACTUALLY at The Geffen Playhouse was very successful resulting in several Ovation nominations including Original Playwrighting and Best Play. I thank you for all your support on our production and I will see you at The Ovations! Thank you. Yes. I will see you there! Don’t miss A Delicate Ship! Reviewer Gil Kaan had the following to say about the play on BWW: Barron smartly directs the action as a continuous build until...(no spoiler alert here) a conclusion. As in Ziegler's other recent play ACTUALLY, all her characters possess questionable, very human characteristics, very open to interpretation.